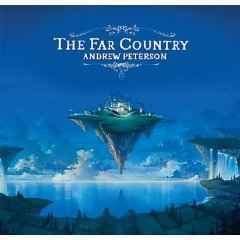 In the early-1980s, Andrew Peterson was a little kid who loved adventure. When he wasn't staging make-believe wars with GI Joe and building forts in the backyard, he was getting lost inside Hardy Boys mysteries, Lewis's enchanted Narnia, and Tolkein's hobbit-lurking Shire. These stories sparked Peterson's imagination, something he would use later in his life. 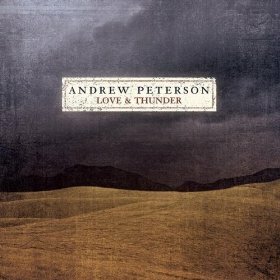 A songwriter with the guts to delve into such meaningful ideas, not to mention the ability to convey them so artistically, Peterson's lyrical depth aligns easily with that of Rich Mullins and James Taylor, while his passionate acoustic sound, particularly on this album, hints at Marc Cohn. Peterson's own credits include a 2001 Top Ten radio hit "Nothing to Say," and a Dove Award nomination for his single "Family Man." Beneath the songwriter, Andrew is just a regular small-town Florida guy who now makes his home in Nashville , and performs roughly 150 concerts per year by way of the Winnebago he affectionately calls 'Millennium Falcon.' It is Andrew's time spent traveling that offers him the truest sense of family. Not only are his wife Jamie (backing vocals), and their two small boys, Aedan and Asher Jesse, along for the ride, but his best friend Gabe (multi-instrumentalist, backing vocals) is with him too. The group finds home and hospitality as they stop along their journeys to share some tales with folks who are eager to welcome them inside. For audience members, their concerts create a feel of sitting around a cozy living room, eyes peering forward, minds deep in thought at the expressions of a detailed storyteller. "Sharing my music with people, the writing of it, and translating what God is teaching me to the people who are listening, that's when I feel the most at home," Andrew explains. "We want to engage the audience as much as possible and create an atmosphere where everybody is active in the concert, and where we feel like we all got to know each other better before the end of the night." 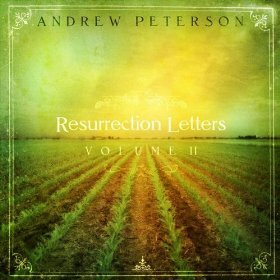 His ability to relate to families is partly due to the fact that Andrew's music contemplates age-old struggles, and by its transparency, offers comfort to anyone who ponders their purpose in life, wrestles with holding onto faith, grows weary, and then as No More Faith explains, presses on 'until this race is won.' And in Andrew's songwriting, these bittersweet complexities are offered with a beauty and humility that make them more bearable and easier to understand. "People continually reaffirm that these songs mean something to them and they have an experience where they realize, 'This is what I have always thought, but I didn't know quite how to think it or say it or feel it," describes Gabe. "I don't think Andrew's songwriting is just some groundbreaking idea or theology or philosophy. It's all of that, but it's also simple theology and simple philosophy, about God's love and His grace. It's just a unique and inviting way to say things about God to people. 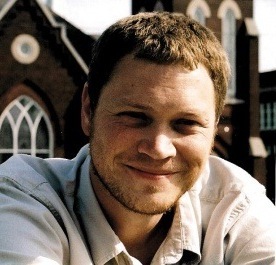 "People have asked me whether or not they should do music or be a banker or whether they should go into the mission field or take a local position," says Andrew. "One of the things I say is that when it comes down to two different things that are both in the scope of God's will, go for the crazier of the two. Do the nuttier thing, because Jesus said He came so that we might have life and have it to the fullest. For me, the way to have life to the fullest was to get in my car with my wife, drive to Nashville and say, 'Let's give up your teaching job so that we can drive around and see the world together and play music... even if there are only five people who want to listen to it.'"